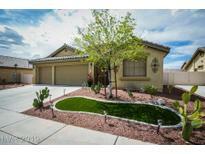 Below you can view all the homes for sale in the Rose Lake subdivision located in North Las Vegas Nevada. Listings in Rose Lake are updated daily from data we receive from the Las Vegas multiple listing service. To learn more about any of these homes or to receive custom notifications when a new property is listed for sale in Rose Lake, give us a call at 702-323-5963. Hurry, will not last at this price. MLS#2084902. Coldwell Banker Premier. 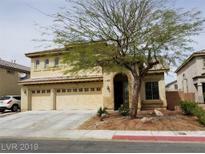 Beautiful Home Features ....Large Pool Size Lot...3 Car Garage.. Cherry Kitchen Cabinets......Granite Kitchen Counter Tops And Island....New Stainless Appliances .Tile Flooring New Carpet.....Large Family Room With Fire Place....New Water Heather....New Garbage Disposal..... MLS#2083868. United Realty Group. Minutes away from the Shadow Greek Golf Course w/easy access to freeways & shopping. MLS#2083507. GK Properties. Fresh 2-Tone Paint - New Carpet & Tile - New Blinds - Large Gourmet Island Kitchen w/Granite Counters, Pantry & SS Appliances- Big Family Room W/Fireplace - High Ceilings - Large Separate Master With Walk-In Closet + Door To Patio - Dual Pane Windows - Ceiling Fans - 2 Covered Patios - 3 Car Garage, Extra Parking Across Street + More. Feels Like A New Home! MLS#2081071. Prominent Realty Group LLC. If Your Looking For A Large Home That Has A 3 Car Garage, With Over 2300 Sqft With Over Sized Bedrooms, Island Kitchen With Nook, Extensive Use Of Ceramic Tile Through Out, Fully Landscaped Low Maintenance Yard That Includes All Appliances, Covered Patio With Balcony, That Has Great Curb Appeal In Top Shape Then Look No Further! MLS#2077569. Hudson Real Estate. The large master retreat is stocked with dual sinks, combo shower/tub, granite counters, a huge walk in closet, & a massive balcony. MLS#2076298. Purplebricks Inc. 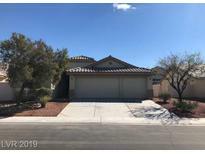 Kitchen is large and has granite counter tops and flooring is all very nice tile.. 2 story home with balcony to enjoy those warm Vegas summer days.. Bring all your buyers to come and see this AMAZING house !! ! MLS#2075010. Next Level Realty LLC. Master bedroom suite with fireplace, seperate sitting room, dual sinks and seperate tub/shower MLS#2074826. First Prime Realty Group. This home is part of the Terraces at Rose Lake HOA. MLS#2070104. Opendoor Brokerage LLC. Come & take a look at the natural grass, spacious patio space & captivating desert landscaping. MUST SEE MLS#2069631. THE Brokerage A RE Firm. Fire up the grill or enjoy the spacious and well-manicured yard while relaxing under the covered patio. TRUE MUST SEE! MLS#2069434. RE/MAX CENTRAL. Also, this home offers an additional family room on the second floor. This home will not disappoint. MLS#2065634. Go Global Realty. Home comes with a 30-day buyback guarantee. Terms and conditions apply. MLS#2056883. Opendoor Brokerage LLC. This home is part of the Berkshire Estates II HOA. MLS#2055588. Opendoor Brokerage LLC. Easy To Show And Ready To Sell. MLS#2053538. Realty ONE Group, Inc.
Get yourself a beautiful home with a pool for the coming spring and summer months! MLS#2043328. General Realty Group Inc. Pool size backyard and hard to find RV parking MLS#2029479. ADG Realty. Beautiful 3 Bed / 3 bath home , granite counter tops, sunken living room, den includes pool table,tile flooring in kitchen, vaulted ceilings,fireplace, large master suite with a large balcony, upstairs laundry and 3 car garage, pool size backyard, extended patio with pavers,double sink in hall bath, large walk in master closet,separate shower and soaking tub in master bath, large size bedrooms, all appliances remain. SHOW & SELL ! ! MLS#1962575. DeVille Realty Group.